Add the classic taste of Musselman's original sweetened applesauce to your menu for guests of all ages to enjoy! 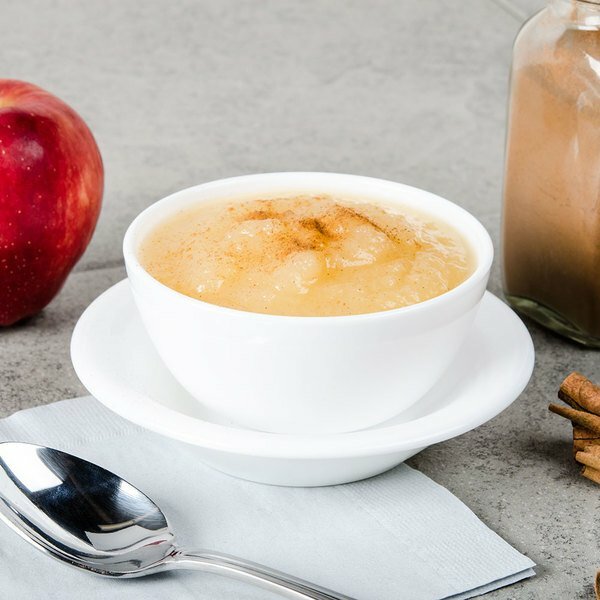 Combining the perfect blend of apples, water, and salt, Musselman's original applesauce makes the ideal complement to any meal. Use it as a side dish, topping, or serve it on its own as a healthy snack. Just one serving of this applesauce counts as a daily serving of fruit, as it is high in vitamin C! With no fat or cholesterol, this applesauce makes a wholesome treat anytime. This sweetened applesauce lightens the caloric density of your most popular baked goods when used in place of margarine, butter, shortening, or oil, but still provides a tender, crumbly texture and a fresh flavor. Pour it over roasted meats for a sweet autumnal flavor or use it as a glaze for grilled foods. With roots that run deep in the heart of Pennsylvania apple country, the Musselman Company has won over generations of families with their "Quality You Can Taste" mentality. 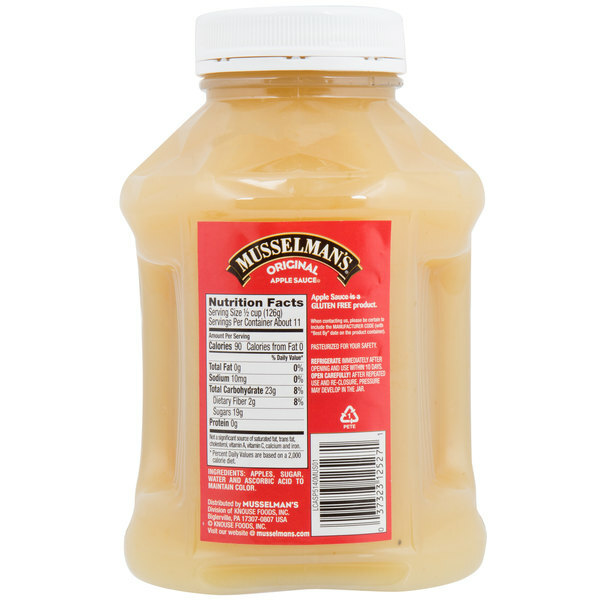 Since purchasing their first canning company in 1907, Musselman's continues to provide satisfied families with its quality products - including this original sweetened applesauce. Musselman's apple sauce is a well known brand sold in most stores, we have been using this brand as our main go to apple sauce, so buying a case here just seemed like a good idea! and the price point is better than anywhere I compared to. Will order from here again when we start to run low and will be ordering here from now on as long as the cost stays low. Great Price for Great Applesauce!! Rather you are eating it plain or using it as a substitute in your baking this is definitely the product for you! This was our go-to brand of applesauce growing up. When my grandmother didn't make it from scratch, my mom always bought Musselman's. The flavor is on point, a good amount of sweetness without being too sweet, and a powerful apple taste. 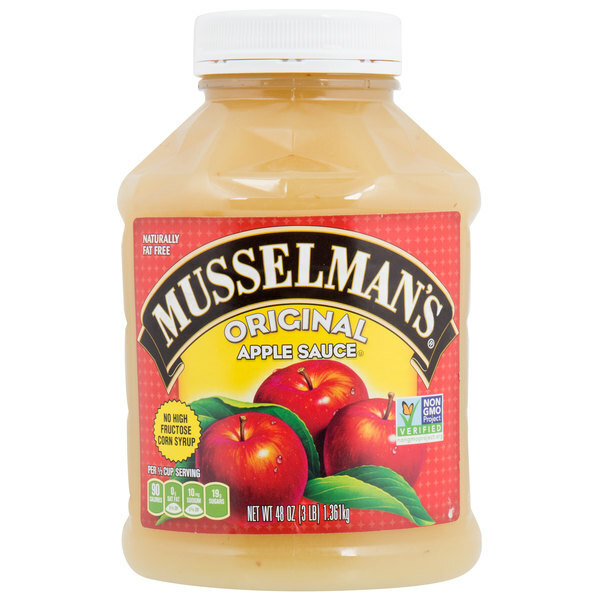 To me, Musselman's is how applesauce should taste, and I was always let down by other brands. I also like the texture of Musselman's because I can feel a little apple "meat" and it's not like baby food. I like having an applesauce that isn't "overdone," in my opinion. There is a point where too much processing takes away from the historic origins of the food. I think the Musselman's brand stays true to how our grand and great-grandparents would have known their applesauce to be.